According to a report by Sarah Strochak of the Urban Institute, the outpouring of financial technology (fintech) in the mortgage space has brought with it all sorts of innovation, including new ways to capture data, reaching more people and expanding access to credit. The Urban institute also states that in having the ability to reach more people, fintech firms also have the potential to disrupt the inequality status quo in the economy. The Urban Institute report states while homeownership can help address wealth inequality, only 45 percent of families are able to claim financial security. Additionally, one out of three families do not having any savings, said the report. 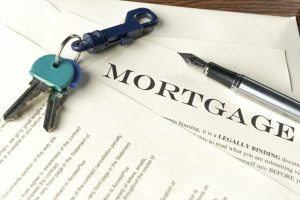 Strochak’s report goes on to state that over 45 million Americans, many of whom are black and Hispanic, are also credit invisible through traditional scoring mechanisms and are unable to take out mortgages. This is where fintech firms come in, according to the report. They provide opportunities for the industry to branch out of traditional data-collection methods. For example, the Urban Institute draws on the case of Down Payment Resource, a company that has created a database that matches customers with down payment assistance programs. Down Payment Resource’s CEO, Rob Chrane, stated in the report that millions of potential borrowers are actually eligible for down payment assistance but are unaware of programs that can help them, so he created his company to aggregate information, connecting borrowers with more helpful resources. Finally, fintech provides opportunities for financial education. According to the report, Todd Baker of the Harvard Kennedy School proposed setting up mobile structures that can help people automate their savings, leading to a branching out from traditional methods of financial education, which would then lead to a greater segment being financially literate. “We need to look for information beyond the consumer’s history. We cannot train our systems on bias,” said Marla Blow, CEO of FS Card Inc., a fintech firm. The Five Star Institute will be hosting the Five Star Fintech Summit at the Renaissance Nashville Hotel in Nashville, Tennessee. The summit is a two-day conference covering all aspects of Fintech and its future applications. Hear from speakers in the technology, operations and mortgage industry to learn about the latest approaches to bringing financial technology into the forefront of consumers’ experience.